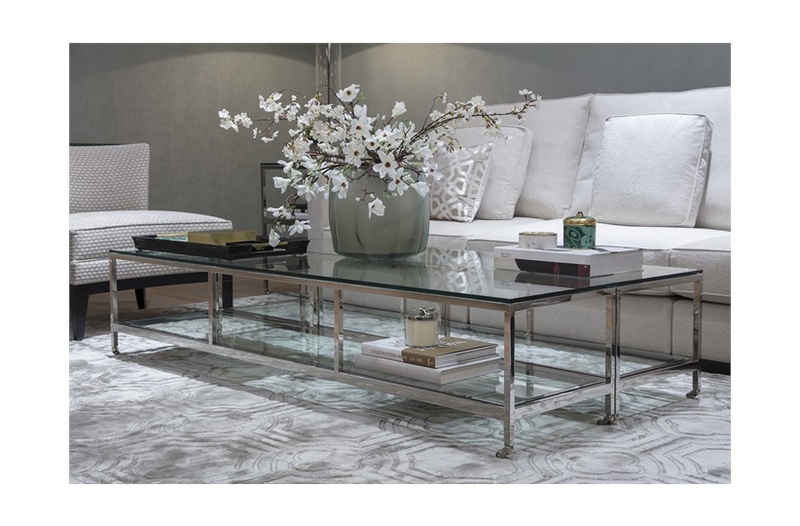 The Hutton tables are large, luxurious tables that let subtle details shine through with glass and mirrored surfaces. 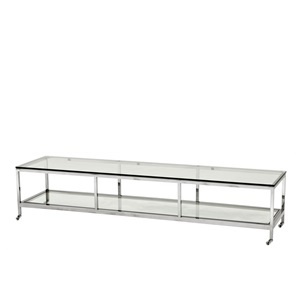 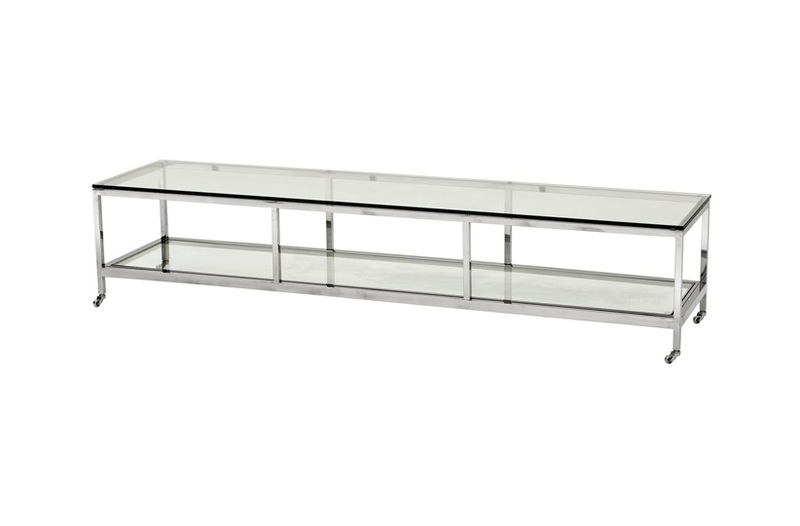 Thick luxury glass tops rest on large elongated linear polished steel frames, with generous proportions, maximising storage without ever appearing cramped. 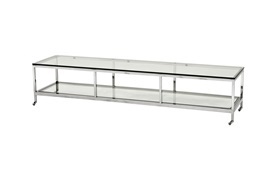 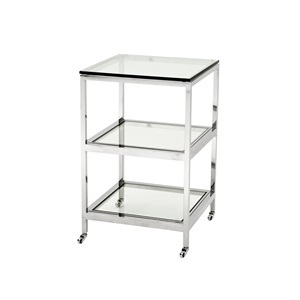 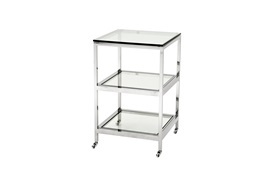 Tables all feature primary and secondary storage/display shelf, and the coffee table also features small metal castor feet for easy mobility. 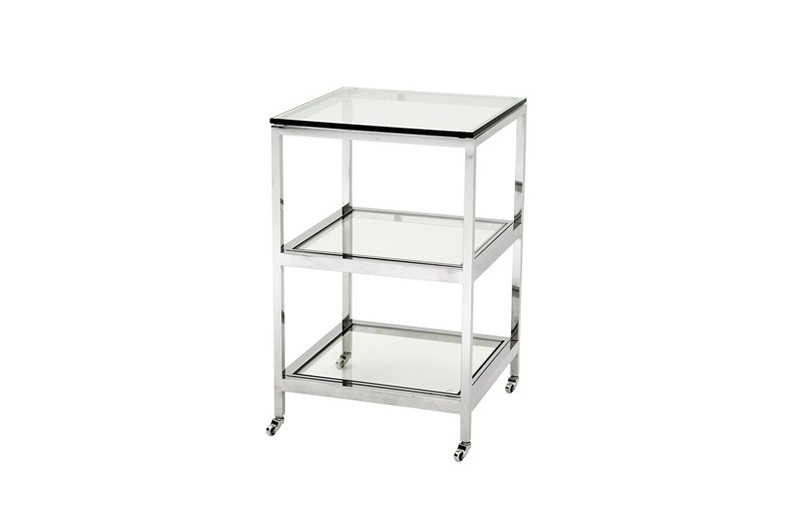 These are refined pieces for any contemporary style room.